AS A YOUNG BOY in my wild years, nothing had so grieved me as having been born at a time which obviously erected its Halls of Fame only to shopkeepers and government officials. The waves of historic events seemed to have grown so smooth that the future really seemed to belong only to the 'peaceful contest of nations'; in other words, a cosy mutual swindling match with the exclusion of violent methods of defence The various nations began to be more and more like private citizens who cut the ground from under one another's feet, stealing each other's customers and orders, trying in every way to get ahead of one another, and staging this whole act amid a hue and cry as loud as it is harmless. This development seemed not only to endure but was expected in time (as was universally recommended) to remodel the whole world into one big department store in whose vestibules the busts of the shrewdest profiteers and the most lamb like administrative officials would be garnered for all eternity. The English could supply the merchants,the Germans the administrative officials, and the Jews no doubt would have to sacrifice themselves to being the owners, since by their own admission they never make any money, but always 'pay,' and, besides, speak the most languages. Why couldn't I have been born a hundred years earlier? Say at the time of the Wars of Liberation when a man, even without a 'business,'was really worth something?! Thus I had often indulged in angry thoughts concerning my earthly pilgrimage, which, as it seemed to me, had begun too late, and regarded the period 'of law and order' ahead of me as a mean and undeserved trick of Fate. Even as a boy I was no 'pacifist,' and all attempts to educate me in this direction came to nothing. The Boer War was like summer lightning to me. Every day I waited impatiently for the newspapers and devoured dispatches and news reports, happy at the privilege of witnessing this heroic struggle even at a distance. 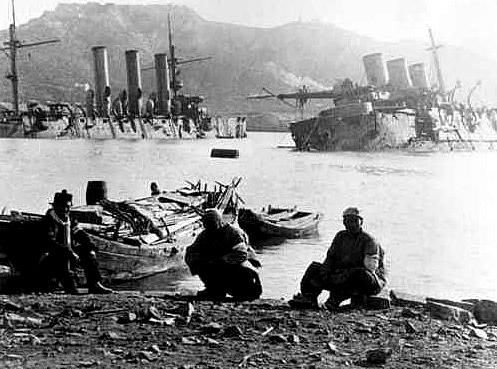 The Russo-Japanese War found me considerably more mature, but also more attentive. More for national reasons I had already taken sides,and in our little discussions at once sided with the Japanese. In a defeat of the Russians I saw the defeat of Austrian Slavdom. Since then many years have passed, and what as a boy had seemed to me a lingering disease, I now felt to be the quiet before the storm.As early as my Vienna period, the Balkans were immersed in that livid sultriness which customarily announces the hurricane, and from time to time a beam of brighter light flared up, only to vanish again in the spectral darkness. But then came the Balkan War and with it the first gust of wind swept across a Europe grown nervous. The time which now followed lay on the chests of men like a heavy nightmare, sultry as feverish tropic heat, so that due to constant anxiety the sense of approaching catastrophe turned at last to longing: let Heaven at last give free rein to the fate which could no longer be thwarted. And then the first mighty lightning flash struck the earth; the storm was unleashed and with the thunder of Heaven there mingled the roar of the World War batteries. 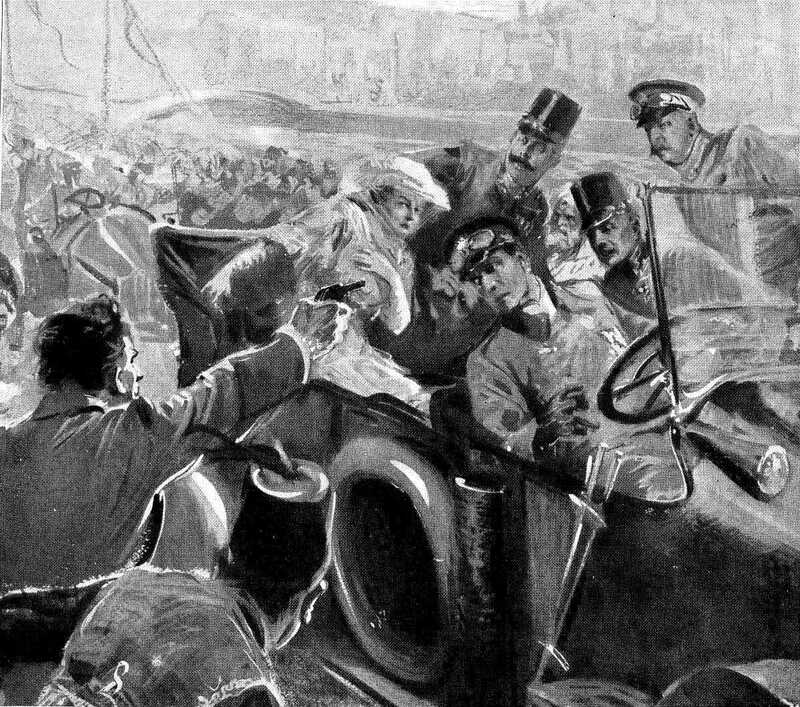 When the news of the murder of Archduke Francis Ferdinand arrived in Munich (I happened to be sitting at home and heard of it only- vaguely), I was at first seized with worry that the bullets may have been shot from the pistols of German students, who, out of indignation at the heir apparent's continuous work of Slavization, wanted to free the German people from this internal enemy. What the consequence of this would have been was easy to imagine: a new wave of persecutions which would now have been 'justified'and 'explained' in the eyes of the whole world. 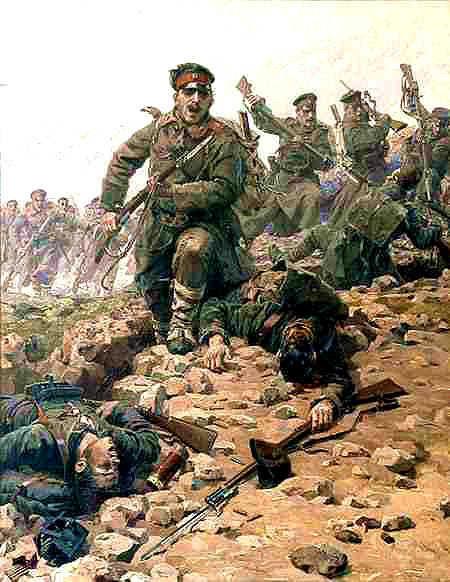 But when, soon afterwards I heard the names of the supposed assassins, and moreover read that they had been identified as Serbs, a light shudder began to run through me at this vengeance of inscrutable Destiny. The greatest friend of the Slavs had fallen beneath the bullets of Slavic fanatics. Anyone with constant occasion in the last years to observe the relation of Austria to Serbia could not for a moment be in doubt that a stone had been set rolling whose course could no longer be arrested. Those who today shower the Viennese government with reproaches on the form and content of the ultimatum it issued, do it an injustice. No other power in the world could have acted differently in the same situation and the same position. 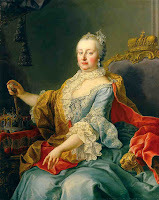 At her south-eastern border Austria possessed an inexorable and mortal enemy who at shorter and shorter intervals kept challenging the monarchy and would never have left off until the moment favourable for the shattering of the Empire had arrived. 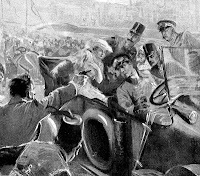 There was reason to fear that this would occur at the latest with the death of the old Emperor; by then perhaps the old monarchy would no longer be in a position to offer any serious resistance. 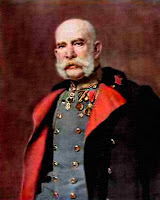 In the last few years the state had been so bound up with the person of Francis Joseph that the death of this old embodiment of the Empire was felt by the broad masses to be tantamount to the death of the Empire itself.Indeed, it was one of the craftiest artifices, particularly of the Slavic policy, to create the appearance that the Austrian state no longer owed its existence to anything but the miraculous and unique skill of this monarch;this flattery was all the more welcome in the Hofburg, since it corresponded not at all to the real merits of the Emperor. The thorn hidden in these paeans of praise remained undiscovered. The rulers did not see, or perhaps no longer wanted to see, that the more the monarchy depended on the outstanding statecraft, as they put it, of this 'wisest monarch' of all times, the more catastrophic the situation was bound to become if one day Fate were to knock at his door, too, demanding its tribute. Was old Austria even conceivable without the Emperor ? Wouldn't the tragedy which had once stricken Maria Theresa have been repeated? No, it is really doing the Vienna circles an injustice to reproach them with rushing into a war which might otherwise have been avoided. It no longer could be avoided, but at most could have been postponed for one or two years. But this was the curse of German as well as Austrian diplomacy,that it had always striven to postpone the inevitable reckoning, until at length it was forced to strike at the most unfavourable hour. We can be convinced that a further attempt to save peace would have brought war at an even more unfavourable time. No, those who did not want this war had to have the courage to face the consequences, which could have consisted only in the sacrifice of Austria. 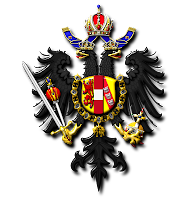 Even then the war would have come, but no longer as a struggle of all against ourselves, but in the form of a partition of the Habsburg monarchy. And then they had to make up their minds to join in, or to look on with empty hands and let Fate run its course. Those very people, however, who today are loudest in cursing the beginning of the war and offer the sagest opinions were those who contributed most fatally to steering us into it. For decades the Social Democrats had carried on the most scoundrelly war agitation against Russia, and the Centre for religious reasons had been most active in making the Austrian state the hinge and pivot of Germany policy. Now we had to suffer the consequences of this lunacy. What came had to come, and could no longer under any circumstances be avoided. The guilt of the German government was that in order to preserve peace it always missed the favourable hours for striking, became entangled in the alliance for the preservation of world peace, and thus finally became the victim of a world coalition which countered the idea of preserving world peace with nothing less than determination for world war. 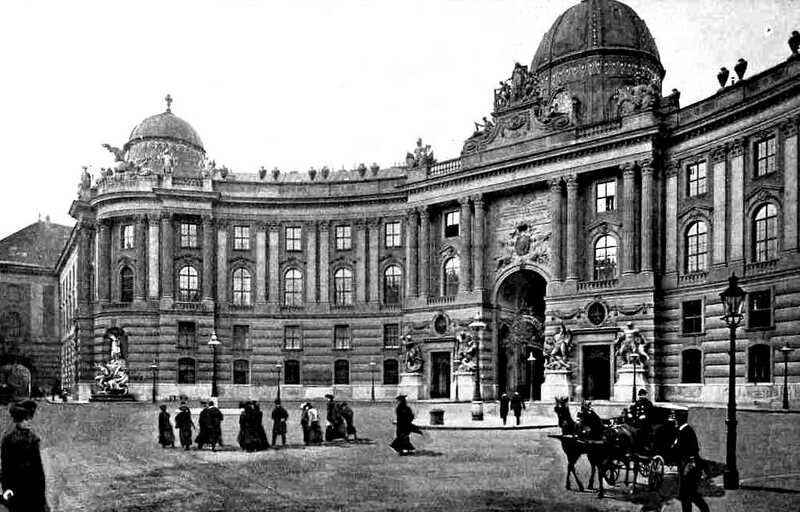 If the Vienna government had given the ultimatum another milder form, this would have changed nothing in the situation except at most one thing, that this government would itself have been swept away by the indignation of the people. For in the eyes of the broad masses the tone of the ultimatum was far too gentle and by no means too brutal, let alone too far-reaching. The struggle of the year 1914 was not forced on the masses-no, by the living God-it was desired by the whole people. People wanted at length to put an end to the general uncertainty. Only thus can it be understood that more than two million German men and boys thronged to the colours for this hardest of all struggles, prepared to defend the flag with the last drop of their blood. To me those hours seemed like a release from the painful feelings of my youth. 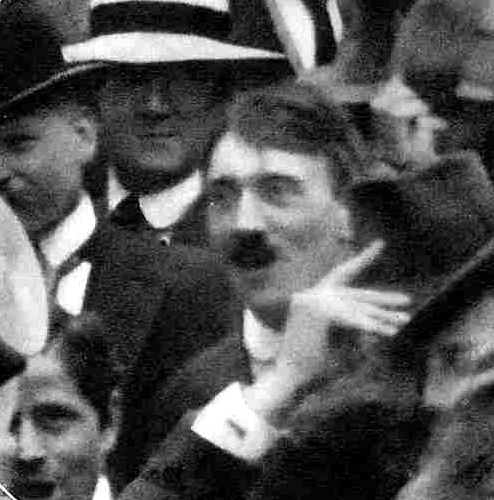 A fight for freedom had begun, mightier than the earth had ever seen; for once Destiny had begun its course, the conviction dawned on even the broad masses that this time not the fate of Serbia or Austria was involved,but whether the German nation was to be or not to be. For the last time in many years the people had a prophetic vision of its own future. Thus, right at the beginning of the gigantic struggle the necessary grave undertone entered into the ecstasy- of an overflowing enthusiasm; for this knowledge alone made the national uprising more than a mere blaze of straw. The earnestness was only too necessary; for in those days people in general had not the faintest conception of the possible length and duration of the struggle that was now beginning. They dreamed of being home again that winter to continue and renew their peaceful labours. What a man wants is what he hopes and believes. The overwhelming majority of the nation had long been weary of the eternally uncertain state of affairs; thus it was only too understandable that they no longer believed in a peaceful conclusion of the Austro-Serbian convict, but hoped for the final settlement. I, too, was one of these millions. Hardly had the news of the assassination become known in Munich than at once two thoughts quivered through my brain: first, that at last war would be inevitable; and, furthermore, that now the Habsburg state would be compelled to keep its pact; for what I had always most feared was the possibility that Germany herself would some day, perhaps in consequence of this very alliance, find herself in a conflict not directly caused by Austria, so that the Austrian state for reasons of domestic policy would not muster the force of decision to stand behind her ally. The Slavic majority of the Empire would at once have begun to sabotage any such intention on the part of the state, and would always have preferred to smash the entire state to smithereens than grant its ally the help it demanded. This danger was now eliminated. The old state had to fight whether it wanted to or not. 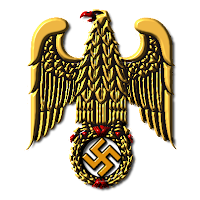 My own position on the conflict was likewise very simple and clear; for me it was not that Austria was fighting for some Serbian satisfaction,but that Germany was fighting for her existence, the German nation for life or death, freedom and future. 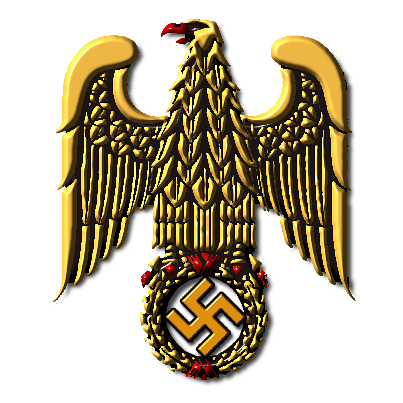 The time had come for Bismarck's work to fight;what the fathers had once won in the battles from Weissenburg to Sedan and Paris, young Germany now had to earn once more. 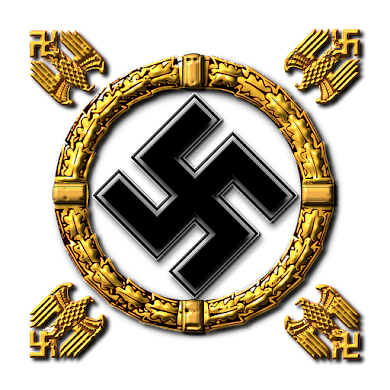 If the struggle were carried through to victory, our nation would enter the circle of great nations from the standpoint of external power, and only then could the German Reich maintain itself as a mighty haven of peace without having, for the sake of peace,to cut down on the daily bread of her children. As a boy and young man I had so often felt the desire to prove at least once by deeds that for me national enthusiasm was no empty whim.It often seemed to me almost a sin to shout hurrah perhaps without having the inner right to do so; for who had the right to use this word without having proved it in the place where all playing is at an end and the inexorable hand of the Goddess of Destiny begins to weigh peoples and men according to the truth and steadfastness of their convictions? Thus my heart, like that of a million others, overflowed with proud joy that at last I would be able to redeem myself from this paralysing feeling. 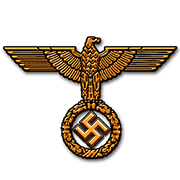 I had so often sung 'Deutschland uber Alles' that it seemed to me almost a belated act of grace to be allowed to stand as a witness in the divine court of the eternal judge and proclaim the sincerity of this conviction. For from the first hour r was convinced that in case of a war- which seemed to me inevitable-in one way or another I would at once leave my books. Likewise I knew that my place would then be where my inner voice directed me. On the third of August, I submitted a personal petition to His Majesty, lying Ludwig III, with a request for permission to enter a Bavarian regiment. The cabinet office certainly had plenty to do in those days; somuch the greater was my joy to receive an answer to my request the very next day. With trembling hands I opened the document; my request had been approved and I was summoned to report to a Bavarian regiment. My joy and gratitude knew no bounds. A few days later I was wearing the tunic which I was not to doff until nearly six years later. For me, as for every German, there now began the greatest and most unforgettable time of my earthly existence. Compared to the events of this gigantic struggle, everything past receded to shallow nothingness.Precisely in these days, with the tenth anniversary of the mighty event approaching, I think back with proud sadness on those first weeks of our people's heroic struggle, in which Fate graciously allowed me to take part. As though it were yesterday, image after image passes before my eyes. I see myself donning the uniform in the circle of my dear comrades,turning out for the first time, drilling, etc., until the day came for us to march off. A single worry tormented me at that time, me, as so many others:would we not reach the front too late? Time and time again this alone banished all my calm. Thus, in every cause for rejoicing at a new, heroic victory,a slight drop of bitterness was hidden, for every new victory seemed to increase the danger of our coming too late. At last the day came when we left Munich to begin the fulfilment of our duty. For the first time I saw the Rhine as we rode westward along its quiet waters to defend it, the German stream of streams, from the greed of the old enemy. When through the tender veil of the early morning mist the Niederwald Monument gleamed down upon us in the gentle first rays of the sun, the old Watch on the Rhine roared out of the endless transport train into the morning sky, and I felt as though my heart would burst. Four days later we came back. Even our step had changed. Seventeen-year-old boys now looked like men. Thus it went on year after year; but the romance of battle had been replaced by horror. The enthusiasm gradually cooled and the exuberant joy was stifled by mortal fear. The time came when every man had to struggle between the instinct of self-preservation and the admonitions of duty. I, too, was not spared by this struggle. Always when Death was on the hunt,a vague something tried to revolt, strove to represent itself to the weak body as reason, yet it was only cowardice, which in such disguises tried to ensnare the individual. A grave tugging and warning set in, and often it was only the last remnant of conscience which decided the issue. Yet the more this voice admonished one to caution, the louder and more insistent its lures, the sharper resistance grew until at last, after a long inner struggle, consciousness of duty emerged victorious. 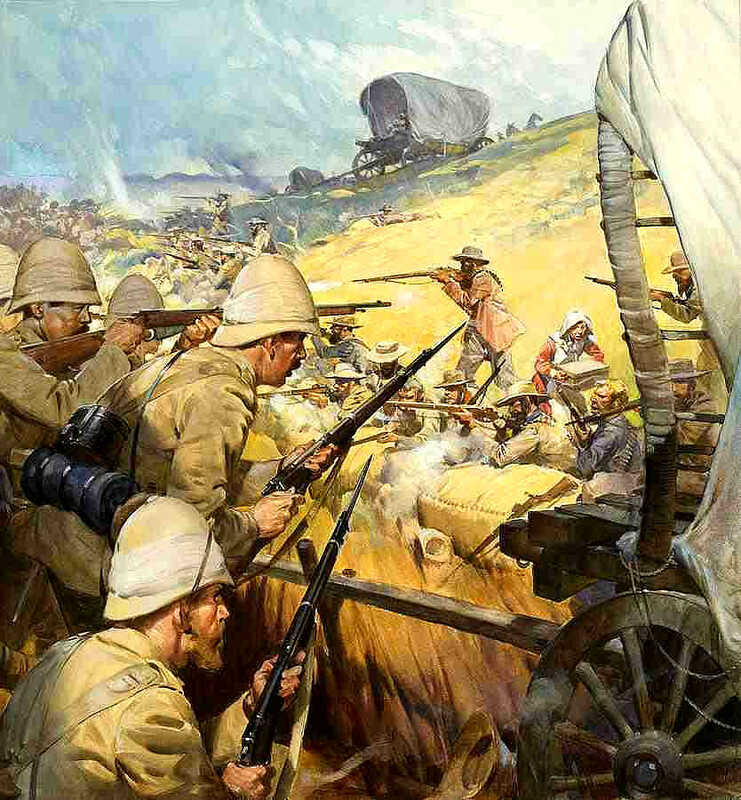 By the winter of 1915-16 this struggle had for me been decided. At last my will was undisputed master.If in the first days I went over the top with rejoicing and laughter, I was now calm and determined. And this was enduring. Now Fate could bring on the ultimate tests without my nerves shattering or my reason failing. The young volunteer had become an old soldier. And this transformation had occurred in the whole army. It had issued old and hard from the eternal battles, and as for those who could not stand up under the storm-well, they were broken. Now was the time to judge this army. Now, after two or three years, during which it was hurled from one battle into another, forever fighting against superiority in numbers and weapons, suffering hunger and bearing privations, now was the time to test the quality of this unique army. Thousands of years may pass, but never will it be possible to speak of heroism without mentioning the German army and the World War. Then from the veil of the past the iron front of the grey steel helmet will emerge,unwavering and unflinching, an immortal monument. As long as there are Germans alive, they will remember that these men were sons of their nation. I was a soldier then, and I didn't want to talk about politics.And really it was not the time for it. Even today I harbour the conviction that the humblest wagon-driver performed more valuable services for the fatherland than the foremost among, let us say, 'parliamentarians.' I had never hated these bigmouths more than now when every red-blooded man with something to say yelled it into the enemy's face or appropriately left his tongue at home and silently did his duty somewhere. Yes, in those days I hated all those politicians. And if it had been up to me, a parliamentary pick-and-shovel battalion would have been formed at once; then they could have chewed the fat to their hearts' content without annoying, let alone harming, honest, decent people. Thus, at that time I wanted to hear nothing of politics, but I could not help taking a position on certain manifestations which after all did affect the whole nations and particularly concerned us soldiers. There were two things which then profoundly angered me and which I regarded as harmful. After the very first news of victories, a certain section ofthe press, slowly, and in a way which at first was perhaps unrecognizable to many, began to pour a few drops of wormwood into the general enthusiasm.This was done beneath the mask of a certain benevolence and well-meaning,even of a certain solicitude. They had misgivings about an excess of exuberance in the celebration of the victories. They feared that in this form it was unworthy of so great a nation and hence inappropriate. 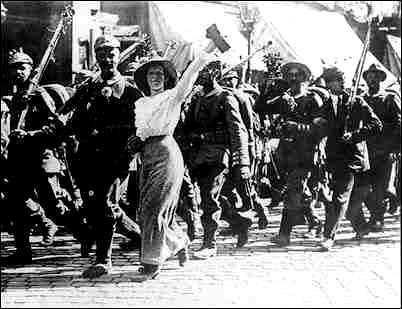 The bravery and heroic courage of the German soldier were something self-evident, they said, and people should not be carried away too much by thoughtless outbursts of joy,if only for the sake of foreign countries to whom a silent and dignified form of joy appealed more than unbridled exultation, etc. Finally, we Germans even now should not forget that the war was none of our intention and therefore we should not be ashamed to confess in an open and manly fashion that at any time we would contribute our part to a reconciliation of mankind. For that reason it would not be prudent to besmirch the purity of our army's deeds by too much shouting, since the rest of the world would have little understanding for such behaviour The world admired nothing more than the modesty with which a true hero silently and calmly forgets his deeds, for this was the gist of the whole argument. Instead of taking one of these creatures by his long ears, tying him to a long pole and pulling him up on a long cord, thus making it impossible for the cheering nation to insult the aesthetic sentiment of this knight of the inkpot, the authorities actually began to issue remonstrances against' unseemly ' rejoicing over victories. It didn't occur to them in the least that enthusiasm once scotched cannot be reawakened at need. It is an intoxication and must be preserved in this state. And how, without this power of enthusiasm, should a country withstand a struggle which in all likelihood would make the most enormous demands on the spiritual qualities of the nation? I knew the psyche of the broad masses too well not to be aware that a high 'aesthetic' tone would not stir up the fire that was necessary to keep the iron hot. In my eyes it was madness on the part of the authorities to be doing nothing to intensify the glowing heat of passion; and when they curtailed what passion was fortunately present, that was absolutely beyond me. The second thing that angered me was the attitude which they thought fit to take toward Marxism. In my eyes, this only proved that they hadn't so much as the faintest idea concerning this pestilence. In all seriousness they seemed to believe that, by the assurance that parties were no longer recognized, they had brought Marxism to understanding and restraint. They failed to understand that here no party was involved, but a doctrine that must lead to the destruction of all humanity, especially since this cannot be learned in the Jewified universities and, besides,so many, particularly among our higher officials, due to the idiotic conceit that is cultivated in them, don't think it worth the trouble to pick up a book and learn something which was not in their university curriculum.The most gigantic upheaval passes these 'minds' by without leaving the slightest trace, which is why state institutions for the most part lag behind private ones. It is to them, by God, that the popular proverb best applies: 'What the peasant doesn't know, he won't eat.' Here, too, a few exceptions only confirm the rule. It was an unequalled absurdity to identify the German worker with Marxism in the days of August, 1914. In those hours the German worker had made himself free from the embrace of this venomous plague, for otherwise he would never have been able to enter the struggle. The authorities, however,were stupid enough to believe that Marxism had now become national; a flash of genius which only shows that in these long years none of these official guides of the state had even taken the trouble to study the essence of this doctrine, for if they had, such an absurdity could scarcely have crept in. Marxism, whose goal is and remains the destruction of all non-Jewish national states, was forced to look on in horror as, in the July days of 1914, the German working class it had ensnared, awakened and from hour to hour began to enter the service of the fatherland with ever-increasing rapidity.In a few days the whole mist and swindle of this infamous betrayal of the people had scattered away, and suddenly the gang of Jewish leaders stood there lonely and forsaken, as though not a trace remained of the nonsense and madness which for sixty years they had been funnelling into the masses.It was a bad moment for the betrayers of the German working class, but as soon as the leaders recognized the danger which menaced them, they rapidly pulled the 'tarn-helm' of lies over their ears, and insolently mimicked the national awakening. But now the time had come to take steps against the whole treacherous brotherhood of they Jewish poisoners of the people. Now was the time to deal with them summarily without the slightest consideration for any screams and complaints that might arise. In August, 1914, the whole Jewish jabber about international solidarity had vanished at one stroke from the heads of the German working class, and in its stead, only a few weeks later, American shrapnel began to pour down the blessings of brotherhood on the helmets of our march columns. It would have been the duty of a serious government,now that the German worker had found his way back to his nation, to exterminate mercilessly the agitators who were misleading the nation. If the best men were dying at the front, the least we could do was to wipe out the vermin. Instead of this, His Majesty the Raiser himself stretched out his hand to the old criminals, thus sparing the treacherous murderers of the nation and giving them a chance to retrieve themselves. So nova the viper could continue his work, more cautiously than before, but all the more dangerously. While the honest ones were dreaming of peace within their borders,l the perjuring criminals were organizing the revolution. That such terrible half-measures should then be decided upon made me more and more dissatisfied at heart; but at that time I would not have thought it possible that the end of it all would be so frightful. What, then, should have been done? The leaders of the whole movement should at once have been put behind bars, brought to trial, and thus taken off the nation's neck. All the implements of military power should have been ruthlessly used for the extermination of this pestilence. The parties should have been dissolved, the Reichstag brought to its senses,with bayonets if necessary, but, best of all, dissolved at once. Just as the Republic today can dissolve parties, this method should have been used at that time, with more reason. For the life and death of a whole nation was at stake! One question came to the fore, however: can spiritual ideas be exterminated by the sword? Can 'philosophies' be combated by the use of brute force? Conceptions and ideas, as well as movements with a definite spiritual foundation, regardless whether the latter is false or true, can,after a certain point in their development, only be broken with technical instruments of power if these physical weapons are at the same time the support of a new kindling thought, idea, or philosophy. The application of force alone, without the impetus of a basic spiritual idea as a starting point, can never lead to the destruction of an idea and its dissemination, except in the form of a complete extermination of even the very last exponent of the idea and the destruction of the last tradition. This, however, usually means the disappearance of such a state from the sphere of political importance, often for an indefinite time and some-times forever; for experience shows that such a blood sacrifice strikes the best part of the people, since every persecution which occurs without a spiritual basis seems morally unjustified and whips up precisely the more valuable parts of a people in protest, which results in an adoption of the spiritual content of the unjustly persecuted movement. 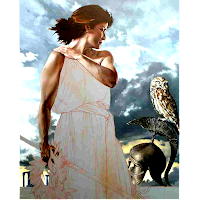 In many this occurs simply through a feeling of opposition against the attempt to bludgeon down an idea by brute force. As a result, the number of inward supporters grows in proportion as the persecution increases. Consequently, the complete annihilation of the new doctrine can be carried out only through a process of extermination so great and constantly increasing that in the end all the truly valuable blood is drawn out of the people or state in question. The consequence is that, though a so-called 'inner' purge can now take place, it will only be at the cost of total impotence. Such a method will always prove vain in advance if the doctrine to be combated has overstepped a certain small circle. Consequently, here, too, as in all growth, the first period of childhood is most readily susceptible to the possibility of extermination,while with the mounting years the power of resistance increases and only with the weakness of approaching old age cedes again to new youth, though in another form and for different reasons. The very first requirement for a mode of struggle with the weapons of naked force is and remains persistence. In other words: only the continuous and steady application of the methods for repressing a doctrine, etc., makes it possible for a plan to succeed. But as soon as force wavers and alternates with forbearance, not only will the doctrine to be repressed recover again and again, but it will also be in a position to draw new benefit from every persecution, since, after such a wave of pressure has ebbed away, indignation over the suffering induced leads new supporters to the old doctrine, while the old ones will cling to it with greater defiance and deeper hatred than before, and even schismatic heretics, once the danger has subsided, will attempt to return to their old viewpoint. Only in the steady and constant application of force lies the very first prerequisite for success. This persistence, however, can always and only arise from a definite spiritual conviction. Any violence which does not spring from a firm, spiritual base,will be wavering and uncertain. It lacks the stability which can only rest in a fanatical outlook. It emanates from the momentary energy and brutal determination of an individual, and is therefore subject to the change of personalities and to their nature and strength. Any philosophy, whether of a religious or political nature-and sometimes the dividing line is hard to determine-fights less for the negative destruction of the opposing ideology than for the positive promotion of its own. Hence its struggle is less defensive than offensive. It therefore has the advantage even in determining the goal, since this goal represents the victory of its own idea, while, conversely, it is hard to determine when the negative aim of the destruction of a hostile doctrine may be regarded as achieved and assured. For this reason alone, the philosophy's offensive will be more systematic and also more powerful than the defensive against a philosophy, since here, too, as always, the attack and not the defence makes the decision. The fight against a spiritual power with methods of violence remains defensive, however, until the sword becomes the support,the herald and disseminator, of a new spiritual doctrine. Any attempt to combat a philosophy with methods of violence will fail in the end, unless the fight takes the form of attack for a new spiritual attitude. Only in the struggle between two philosophies can the weapon of brutal force, persistently and ruthlessly applied lead to a decision for the side it supports. This remained the reason for the failure of the struggle against Marxism. This was why Bismarck's Socialist legislation finally failed and had to fail, in spite of everything. Lacking was the platform of a new philosophy for whose rise the fight could have been waged. For only the proverbial wisdom of high government officials will succeed in believing that drivel about so-called 'state authority' or 'law and order' could forma suitable basis for the spiritual impetus of a life-and-death struggle. Since a real spiritual basis for this struggle was lacking,Bismarck had to entrust the execution of his Socialist legislation to the judgement and desires of that institution which itself was a product of Marxist thinking. By entrusting the fate of his war on the Marxists to the well-wishing of bourgeois democracy, the Iron Chancellor set the wolf to mind the sheep. All this was only the necessary consequence of the absence of a basic new anti-Marxist philosophy endowed with a stormy will to conquer. 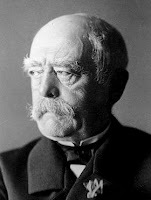 Hence the sole result of Bismarck's struggle was a grave disillusionment. Were conditions different during the World War or at its beginning?Unfortunately not. The more I occupied myself with the idea of a necessary change in the government's attitude toward Social Democracy as the momentary embodiment of Marxism, the more I recognized the lack of a serviceable substitute for this doctrine. What would be given the masses if, just supposing, Social Democracy had been broken? There was not one movement in existence which could have been expected to succeed in drawing into its sphere of influence the great multitudes of workers grown more or less leaderless. It is senseless and more than stupid to believe that the international fanatic who had left the class party would now at once join a bourgeois party, in other words,a new class organization. For, unpleasant as it may seem to various organizations,it cannot be denied that bourgeois politicians largely take class division quite for granted as long as it does not begin to work out to their political disadvantage. The denial of this fact only proves the effrontery, and also the stupidity, of the liars. Altogether, care should be taken not to regard the masses as stupider than they are. In political matters feeling often decides more correctly than reason. The opinion that the stupid international attitude of the masses is sufficient proof of the unsoundness of the masses' sentiment scan be thoroughly confuted by the simple reminder that pacifist democracy is no less insane, and that its exponents originate almost exclusively in the bourgeois camp. As long as millions of the bourgeoisie still piously worship their Jewish democratic press every morning, it very ill becomes these gentlemen to make jokes about the stupidity of the 'comrade' who,in the last analysis, only swallows down the same garbage, though in a different form. In both cases the manufacturer is one and the same Jew. Good care should be taken not to deny things that just happen to be true. The fact that the class question is by no means exclusively a matter of ideal problems, as, particularly before the elections, some people would like to pretend, cannot be denied. The class arrogance of a large part of our people, and to an even greater extent, the underestimation of the manual worker, are phenomena which do not exist only in the imagination of the moonstruck. Quite aside from this, however, it shows the small capacity for thought of our so-called 'intelligentsia' when, particularly in these circles, it is not understood that a state of affairs which could not prevent the growth of a plague, such as Marxism happens to be, will certainly not be able to recover what has been lost. The 'bourgeois' parties, as they designate themselves, will never be able to attach the 'proletarian' masses to their camp, for here two worlds oppose each other, in part naturally and in part artificially divided, whose mutual relation 1 can only be struggle. The younger will be victorious-and this is Marxism. Indeed, a struggle against Social Democracy in the year 1914 was conceivable, but how long this condition would be maintained, in view of the absence of any substitute, remained doubtful. Here there was a great gap. I was of this opinion long before the War, and for this reason could not make up my mind to join one of the existing parties. In the course of events of the World War, I was reinforced in this opinion by the obvious impossibility of taking up a ruthless struggle against Social Democracy,owing to this very lack of a movement which would have had to be more than a 'parliamentary' party. With my closer comrades I often expressed myself openly on this point. And now the first ideas came to me of later engaging in political activity. Precisely this was what caused me often to assure the small circle of my friends that after the War, I meant to be a speaker in addition to my profession. I believe that I was very serious about this.